“Jeroen de Boer of Frysklab, a mobile Fab Lab truck, was expecting us in the morning. I’ve been in touch with Jeroen since the fall, and it was wonderful to finally meet him. 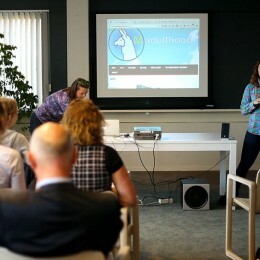 We presented Self-Made for the Bibliotheekservice Fryslân, the organization of public Friesian libraries. 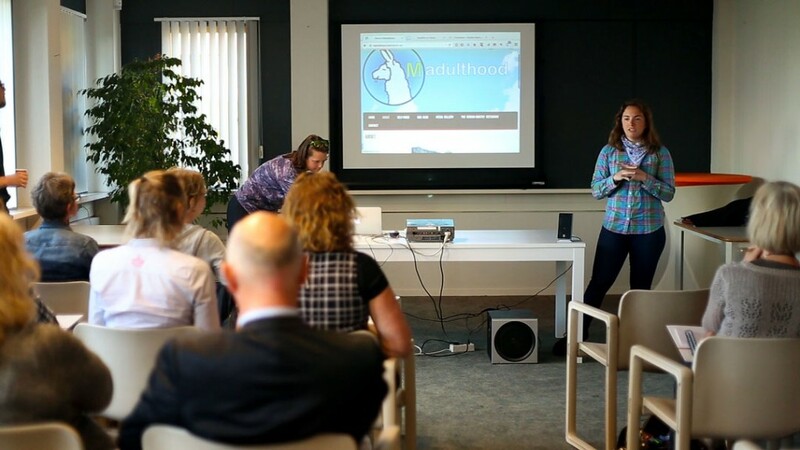 Jeroen imagines a Fryslân where most libraries incorporate makerspaces, a melding of twentieth and twenty-first century educational locales. The librarians explored Frysklab after Jeroen told them about the benefits of such a collaboration, and we captured their enthusiasm as they encountered the equipment. Then through a spontaneous series of chats, we ended up on Omrop Fryslân radio. We’re still basking in our Fryslân fame.